Come join us for Basic Line Dance. 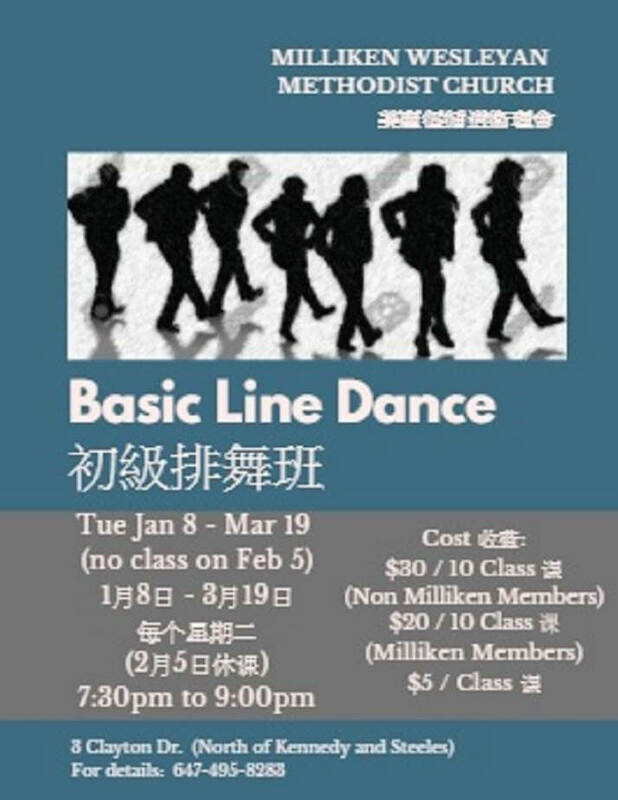 Taught by professional Dance Instructor Queenie Hui. Instructions will be in English and Chinese. To register or to pay in person, call 647-495-8283.